Carlos J. Finlay y Barrés (1833-1915). Physician and epidemiologist, discoverer of the mosquito vector of yellow fever. Born in Camagüey on December 3rd, of a Scots father and a French Creole mother from Trinidad, he grew up on his father’s coffee plantation, but was sent to school in France and England. He then went to Jefferson Medical College in Philadelphia, graduating in 1855. After validating his degree at the University of Havana, he worked in hospitals in Peru, Trinidad, and France before settling permanently in Cuba in 1870 and developing an interest in the island’s sanitary and public health problems. When an American mission arrived to study the causes of yellow fever, the Spanish government designated him to work with it. He developed the idea that the disease’s transmission required a vector and he explained this theory to the Washington International Sanitary Conference of February 1881. That August he read his historic work showing the Stegomya mosquito (now known as Aedes aegypti) to be responsible. Despite his numerous supporting experiments and observations, he received no scientific support. When he presented a paper on his further research to the 1894 Budapest Convention of Hygiene and Demography, he found only contempt. In 1900, however, he was appointed by the US surgeon general to a commission under Major Walter Reed to test his theory on US army volunteers. 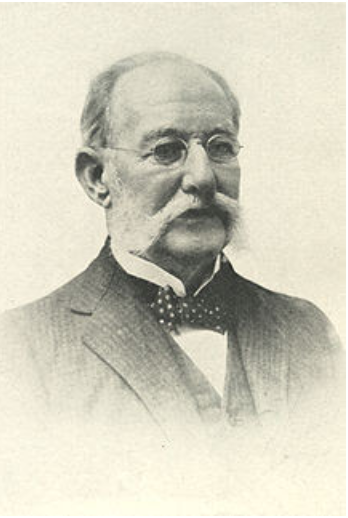 A favorable report was made to the Pan-American Medical Congress at Havana in February 1901 and W.C. Gorgas, US health chief in Cuba introduced immediate measures to eliminate the mosquito from Havana- a program later extended to Panama. Finlay also wrote extensively on ophthalmology, tuberculosis, tetanus, trichinosis, filariasis, leprosy, beriberi, cholera, and exophthalmic goiter. After the establishment of the Cuban Republic in1902, he was appointed public health chief, and the government created in his honor the Finlay Institute for Investigations in Tropic Medicine. He died in Havana on August 20th.